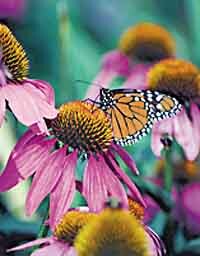 (Coneflower) Highly regarded blood purifier used in the treatment of diseases caused by impurities. Said to increase bodily resistance to infection by strengthening the immune system. Rich reddish-purple daisies appear from July to September.